What’s that instrument you’re playing? 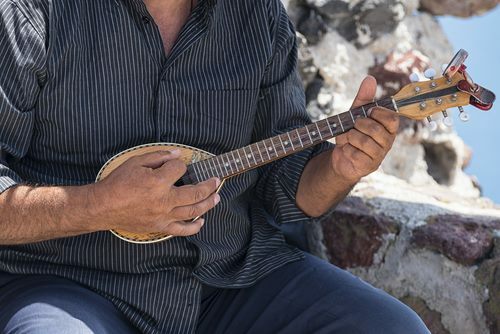 Many people want to know – and now that the bouzouki is becoming more popular, it’s gaining exposure worldwide. A great addition to ensembles specializing in bluegrass, rock, jazz, and folk music, the bouzouki is a lot of fun to play on its own. 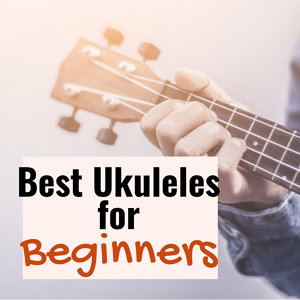 Whether you are primarily interested in playing Greek bouzouki or Irish bouzouki, you’ll find insight here, with details on each instrument’s features as well as the pros and cons. Get ready: you’re about to discover an amazing, versatile instrument with a unique, unforgettable sound. Irish bouzoukis are closely related to Greek bouzoukis with one major difference: While they’re played in a similar fashion, their backs are flatter. These instruments made their way into Irish music around 1965, when folk singer Johnny Moynihan added one tuned to GDAD to his collection. The Irish bouzouki, complete with modifications, hit the mainstream Irish folk music scene in 1972. Here, we present a short series of bouzouki reviews that includes two Greek and two Irish bouzoukis. With a solid Sitka spruce top, solid maple back, and solid maple sides, the Trinity College TM-375 Standard Irish Bouzouki features a round soundhole adorned with a simple, contrasting inlaid rosette. The mahogany neck offers a slim profile for rapid playing, and the fingerboard is of East Indian rosewood for a smooth feel. The head is adorned with a Celtic Cross-inspired abalone inlay, and mother of pearl snowflake dot markers punctuate the fretboard. Sealed gear metal button tuners assure bright, steady melodies. A hardshell bouzouki case is included, providing protection during transport and storage. Good for playing both Irish and Greek music. Great action: Not too high, not too low, plays smoothly. Nut and bridge are not set up to accommodate GGDDaadd strings, which is great for rhythm, but makes it problematic to find a good capo. Does not arrive with a strap pin installed in the neck heel block, and the plastic pin in the bottom of the instrument should be replaced with a metal one. Issue is easily remedied by a luthier. Overall, it’s a great instrument and I recommend it to anyone who wants a good sturdy middle-range priced instrument that has a very sweet sound and good playability. Well worth the money! If you are looking for a quality bouzouki that won’t break the ban, go with this one. Who will Appreciate this Bouzouki? While this bouzouki may not be the top choice of expert players, it is likely to satisfy hobbyists as well as beginning to intermediate players. If you have budgeted for an Irish bouzouki under $1000 and you’re not terribly concerned with traditional string setup, then you are likely to be quite happy with everything this instrument has to offer. Its reviewers are generally pleased with its rich, sweet tone, and mention that it is ideal for beginning bouzouki players who aren’t quite ready to make a large investment in a custom instrument. 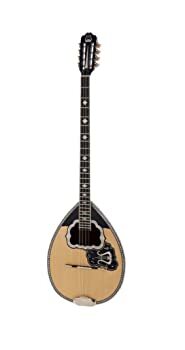 The Matsikas AI-BZ8-210 Greek Bouzouki is handmade in the small Greek village of Mastro at a facility that has been specializing in Greek instruments since 1979. While it is described as an entry-level bouzouki, it is crafted with quality components including a black walnut body and a top of solid spruce. 15 internal ribs impart stability, and a traditional inlay design adds an air of authenticity. Pearl binding completes the look. The Matsikas AI-BZ8-210 Greek bouzouki comes complete with a soft case. 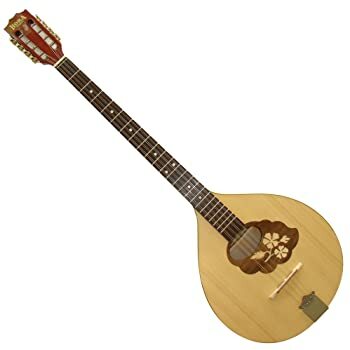 My teacher just tested this bouzouki and he said it is perfect. The sound is superb and the finish is splendid. As the Matsikas AI-BZ8-210 Greek Bouzouki is designed for entry-level players, it is likely to appeal to this sector most. 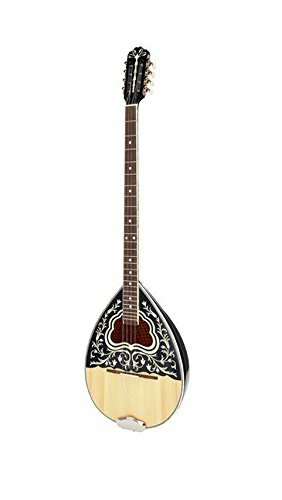 At the same time, it does get excellent ratings for sound, quality materials, and finish, and may very well appeal to more advanced players who are looking for a budget-friendly, authentic bouzouki made in Greece. A traditional 8-string Greek bouzouki with simpler adornment than most other models, the Matsikas BZ8-362 is finely crafted of black walnut, with an ebony fretboard and a Grade A solid spruce top. An adjustable truss rod imparts versatility, and fret markers make for more confident playing. Pearl binding completes the instrument’s beautiful, traditional look. A soft case is included. Like other Matsikas bouzoukis, this model is handmade in Mastro, Greece. If you are looking for a moderately priced Greek Bouzouki, either for hobbyist or professional use, you are likely to enjoy this fine instrument. Although it offers less in terms of ornamentation than many other bouzoukis, it rings out with the full, rich sound of a traditional, handcrafted instrument. All components are top-notch, and buyers happily provide 5-star ratings. With a solid spruce top, maple neck, and solid flat maple bottom, the Hora M1089 Irish bouzouki offers maple sides and an acacia fretboard. A simple floral embellishment adorns the top, which features an oval soundhole. Simple mother of pearl-colored tuners complement the instrument’s overall appearance. Loud for its size, copes well with guitar-bouzouki duets. Great starter bouzouki! The sound is pleasant for the cost and the tuners are surprisingly good at holding their tune. On the whole, the bouzouki is well put together and sounds good. While this bouzouki is inferior to custom instruments, it is ideal for beginning bouzouki players who want to stick to their budgets. Most reviewers mention replacing the strings for a better brand such as D’Addario. The first consideration when buying a bouzouki is to determine what type of music you’ll be playing, and from there, decide whether you prefer a Greek bouzouki or an Irish bouzouki. Listen to clips of the instruments being played to determine which sound you like best. Because bouzoukis (both Greek and Irish varieties) are not mass produced, it’s best to consider your budget once you’ve decided which type you prefer. 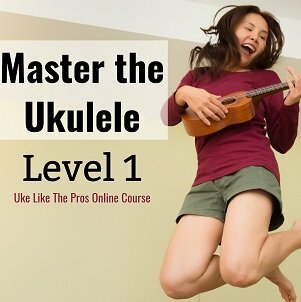 A very nice custom bouzouki is likely to run thousands of dollars which is acceptable for professionals, but often out of range for beginners who aren’t certain whether this unique instrument is the one they’d like to stick with. Be certain that your bouzouki has a solid wood top. Unlike ukuleles and some other instruments that play well with laminate tops, the bouzouki relies on its top for strength and resonance. Ensure that the bouzouki will tune to your preference, and ensure that you’ll enjoy playing with the number of courses (3 or 4) that the bouzouki accommodates. Finally, ensure that the bouzouki you buy appeals to your sense of aesthetics as well as your musical needs! You want an instrument that looks good, sounds good, and meets your needs – particularly since a high-quality bouzouki can represent a significant investment compared with some other, more common instruments. Most of all, have fun and if you can, let your heart be your guide. We wish you the best in your bouzouki buying adventure!